Join us to celebrate people moving forward in their faith as they are confirmed at a special service on Tuesday 3rd May. 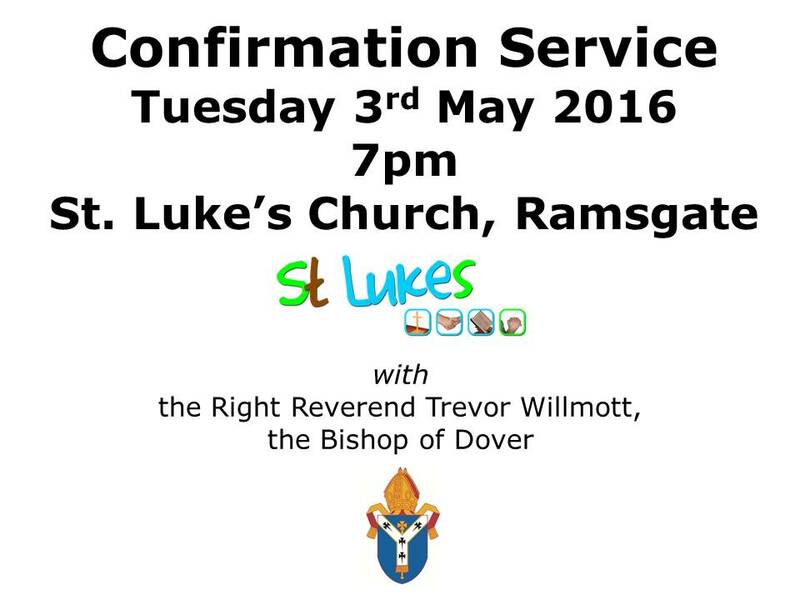 ​We welcome Bishop Trevor as he takes the service, which will involve 6 candidates from St. Luke's, Ramsgate and St. James's, Westgate-on-Sea. ​There will be refreshments afterwards.